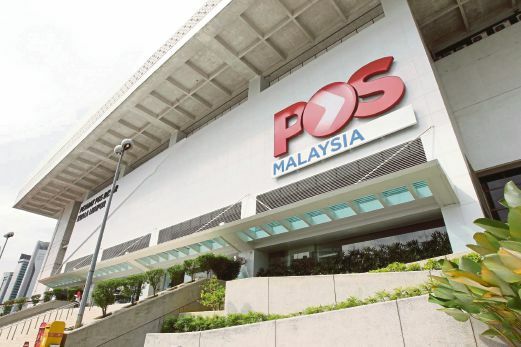 Pos Malaysia Bhd headquarters in Kuala Lumpur. The digital world of emails and other electronic communication applications that have taken over the role of letters may be perplexing to some. For a good hour I sat on a bench outside my front door, in the wee hours of the morning, accompanied by an irritating mosquito and feeling desperate. I had left the newsroom late after a long day of newsworthy events and was looking forward to a shower and the bed. Instead, there I was, locked out, not because I did not have the keys, but perhaps because of age, had completely forgotten the numerical combination that I must enter on a keypad within 10 seconds after entering the house, failing which, the neighbours would surely curse the resultant wailing of the burglar alarm siren. Much as I tried to blame the ever increasing number of passwords I have had to remember these days, the thought that perhaps the body was trying to tell me something did cross my mind as I struggled to figure out the right combination. Somehow, I remembered as well that I have had to stop my passion for fast driving a couple of years before, upon realising that my reaction time was no longer able to keep up with the car’s capability at high speed. These days, I prefer leisurely drives. It was like yesterday that I felt blessed with, as stated in the idiom, the memory of an elephant, seldom at the losing end in those little games we had at school in who’s the fastest at naming the capital cities of nations. It was also like yesterday that I was able to cover every inch of the tennis court without breaking much of a sweat while sending at will fierce forehands, backhands, top and side-spins to my bewildered opponents on the other side of the net. Then, I thought I had arms made of steel and reflexes as sharp as a razor. But, a couple of weeks ago, when a group of old friends brought up the idea of a friendly soccer game, for old times’ sake, I told them I’d play only if they park an ambulance, complete with a respiratory machine, right next to the field. As I made a futile attempt at ending the life of a bugging mosquito in that dark night while still frantically trying to recall the right combination for the alarm, it inevitably struck me that I was getting old. Little wonder that I was filled with joy, like a child who had just found his long-lost toy, on stumbling upon my collection of CDs when going through boxes I kept in the store recently. They have all passed their time, largely replaced today by the seemingly limitless collections in cyberspace offered by the likes of Spotify. There was a time, when as a boy who had barely enough to get by, I thought if some fairy had come by to grant me a wish, all that I ever wanted was one of those “Walkman” personal stereo players. Today, the cassette tapes, too, have all but disappeared. Time and again we were reminded of the new world and of the new ways of doing things. Very few people deal with tellers in banking halls these days, for instance, as we can conduct a host of financial transactions through the Internet. I only go to the post office once a year, to renew my vehicle road tax, and I don’t remember when was the last time I was there to buy postage stamps. Email and other electronic communication applications have taken over the role of letters. The telex machine has been consigned to the museum and I have every reason to believe that the fax machine is heading the same way. Such is the way of life. We have progressed and we will continue to progress. I was at the dental care section of a pharmacy one day when my mind went back to the days when Colgate was synonymous with toothpaste. Today, not only does it have strong competitors, there are probably a dozen varieties of the Colgate brand of toothpaste itself that I had to actually spend some time finding out which was the one that I needed. Go to the cereal section in the supermarket if you don’t believe me. You may sprain your neck trying to go through the packages of each and every one of the products offered just trying to figure out which one suits you. Even the news industry has changed considerably in such a short time, with all the changes being around the competition to get information across as near as possible to light speed. The printed newspaper, at least in form, is undoubtedly heading in the same direction as the telex and fax machines. As newspaper owners grapple with the rapid changes, there are other issues fundamental to the newspaper business that they must face. For one, the ever increasing competition for advertising dollars has sometimes pushed news organisations over the boundaries of the truth discipline they must adhere to, often putting at risk their fundamental role in society building. In a nutshell, as we age, it seems the world we live in is becoming more chaotic. It is now a world where we constantly have to make split-second decisions, within wide options, whether we are in politics, corporate management, or simply managing the household or even in trying to get from point A to point B. It seems that in our quest to modernise, we also have to make sure we are able to keep at speed with the changes around us. A decade ago from that fateful night, I would just have had to turn the keys, enter the house and head for my well-deserved rest. But, there I was, seated on the bench trying to remember the security alarm code for close to an hour before finally figuring out what it was. In this fast moving world, the body was indeed trying to tell me something.